height 14 m, Norrköping, Sweden, 1999. 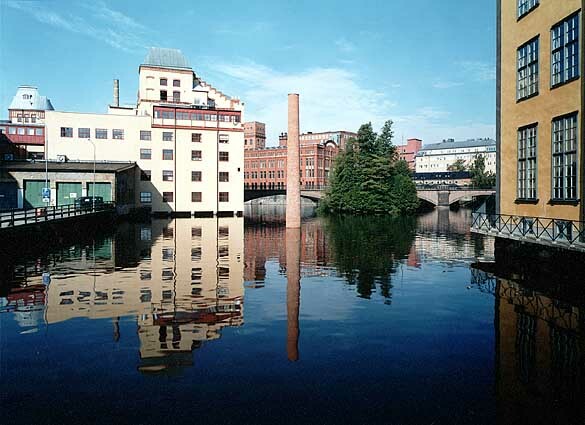 Public commission from the City Council of Norrköping, after JS winning second prize in an open, international competition arranged by Statens Konstråd (The National Swedish Arts Council) 1998. Official photographs (edition 5): "NORRKÖPING I", "NORRKÖPING II". Rendition of Fifth Chimney in Swedish passports issued after 2.1.2012.